John and I have a new tradition of going to this fabulous bakery in town every Saturday morning. John gets the same thing every week, I mean EVERY week, but then he saw these blueberry coconut muffins in the display and he had to add one to his routine. They are TO DIE FOR delicious. He always feels a little guilty after eating them though; butter, sugar, white flour, these are not the things a healthy muffin are made of. So being me, I had to create my own version at home, sans all the bad for you stuff of course. And thus came this love child. The ingredients might not all sound like what a normal muffin would be made of, but stick with me, these things are the best! Whisk together flour through salt in a large bowl. In a small bowl whisk together milk through egg. Add milk mixture to flour mixture, stirring just until moist. 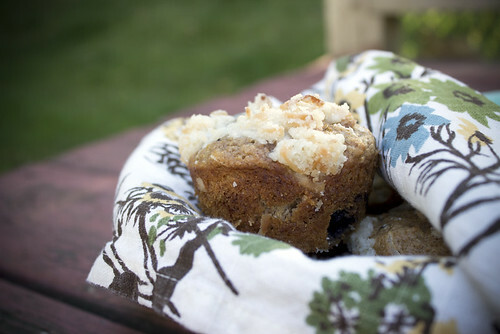 Fold in 1/4 cup coconut and 3/4 cup blueberries. Place 12 muffin cup liners in muffin cups; coat liners with cooking spray. Divide batter evenly among muffin tins. Mix together topping and sprinkle evenly over batter. 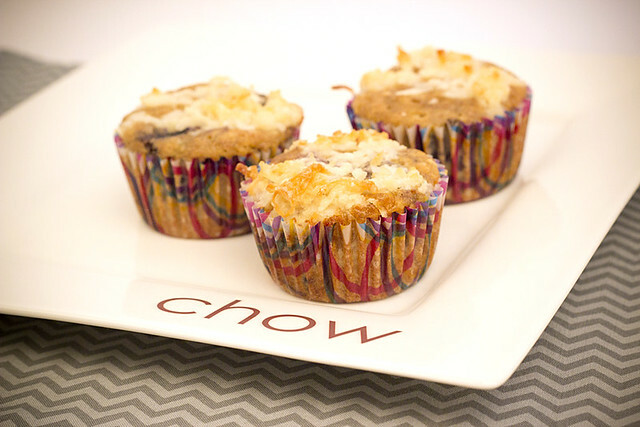 Bake at 350° for 25 minutes or until a wooden pick inserted in center of a muffin comes out clean. Cool in pan on a wire rack 15 minutes. 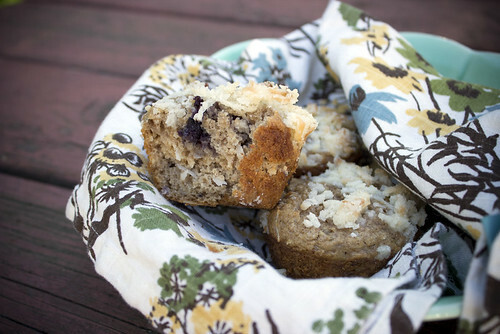 It's been awhile since you've posted a muffin recipe. Yummy muffins! I know it's been too long! These are the perfect ones to come back with though, LOVE THEM!! !